When it comes to credit card debt, over-extending oneself can happen to anyone. One reason many find themselves in a downward debt spiral is that in attempting to dig themselves out, they only make things worse. Do you pay the minimum balance month after month, convinced you’ll catch up “eventually”? Are you transferring credit card balances from one card to another with the belief that you can pay off the balance before the “interest free” period ends? Unfortunately, tactics like these often end in failure. The first step in getting out from under a mountain of credit card debt starts by acknowledging you have problem. You’ll never succeed if you can’t admit the problem and commit to stop spending. There are a number of strategies you can use to begin to bring down those amounts owed and fix your faltering credit score. One way is to focus on your credit accounts with the highest interest rates. Another is known as the debt snowball method. The debt snowball method focuses on paying off smaller debts first. While seemingly counterintuitive, the debt snowball method can work — if short term wins provide the necessary encouragement you needed to stop spending and keep paying. Begin by listing all your debts from the smallest to largest balance, regardless of the interest rate. For debts where the balances are close, go with the higher interest rate debt first. Going forward, pay the minimum on every balance each month. Set aside extra cash to pay toward the smallest debt first. If possible, pay at least double the minimum. Continue to pay the minimum plus the extra amount on the smallest debt until it’s paid off entirely. Once the smallest debt has been settled, apply the same idea — monthly minimum plus the extra cash available — to the second smallest debt, and so on until all debts are paid off. You should be rolling that extra cash over, making bigger and bigger payments on each debt as you pay down other ones. The cumulative effect (or the snowball) of this method, comes from the success and encouragement you get from paying off one debt after the other. This psychological component is key to successfully implementing the snowball method. There’s nothing so frightening than the realization that our debt is spiraling out of control. More than just a bad credit score, debt can become overwhelming, resulting in compounding late fees, constant threats and harassment from collection agencies, and even bankruptcy. It can take a heavy toll on families, marriages, and on our health and well being. Whether you choose the debt snowball method or plan to tackle debt based on the highest interest rate, neither will work if you don’t resolve and commit to stop spending. 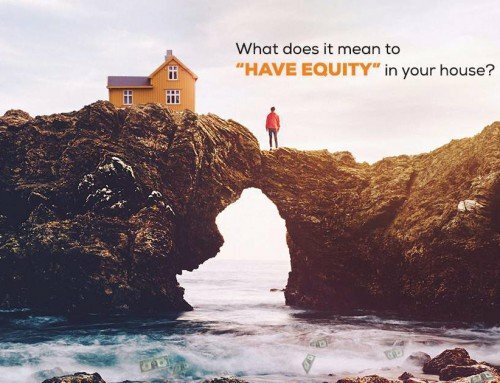 If you have a good amount of equity in your home, a cash-out refinance for debt consolidation could be a good option as well. You can pay off your higher interest credit cards and move that debt into your mortgage with a lower interest rate, hopefully making your payments a bit more manageable. Contact your local Embrace loan officer to learn more.